The Bergara Ridge CRP combines the Ridge rifle and a Burris Droptine 4.5-14x42mm scope in to a Davidson's Exclusive package. The Bergara CRP is available in 300 Win Mag, 308 Win, and 6.5 Creedmoor. The Ridge rifle features a molded synthetic stock made of glass fiber reinforced polymer with a SoftTouch black and gray flake finish. The SoftTouch coating gives the stock a soft, tacky feel that is easy to grip even in harsh weather. The stocks are bedded with integral pillars for stability and enhanced accuracy. The Ridge rifle is built with Bergara's super-smooth B-14 action, which is a two-lug system with a sliding plate extractor and a coned bolt nose breech to ensure smooth feeding and extraction of the cartridge. It’s also outfitted with a Bergara curved trigger we designed to guarantee a crisp, clean pull every time you fire the rifle. The trigger comes set at about three pounds. You will also find the bolt knob is generously oversizes to aid in manipulating the bolt. The (#5) Bergara 4140 chrome moly steel barrel is finished in matte blue and is 22 inches long, which weighs 7.6 lbs. The barrel is threaded 5/8×24 to accept muzzle brakes or suppressors. The Bergara guarantees the Ridge rifle will produce groups of 1 MOA or less at 100 yards with quality factory match grade ammunition. The 4.5-14x42mm is the largest in the Droptine family. 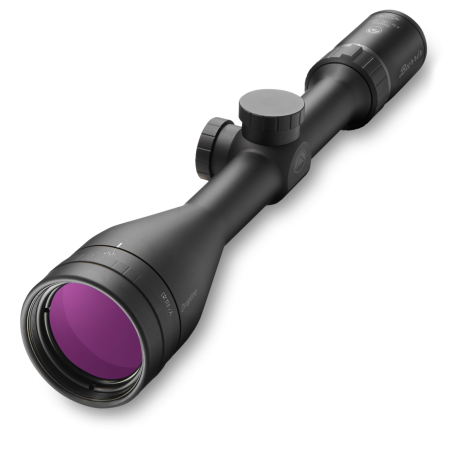 It is designed for people who want to extend their ethical and accurate shooting distance without breaking the bank. This Droptine features adjustable parallax focus, Ballistic Plex reticle, an capped hunting style turrets. Burris backs their Droptine scope with the Burris Forever Warranty. Bergara has quickly become one of the most respected barrel makers in the world. Manufactured in Bergara, Spain, and being used by numerous top-tier gun manufacturers in both Europe and the United States, they have combined the most technically advanced barrel manufacturing techniques, state-of-the-art machinery and an unwavering commitment to quality to become a company synonymous with accuracy. And now, with their barrels, they are building several lines of high-quality tactical and hunting rifles.